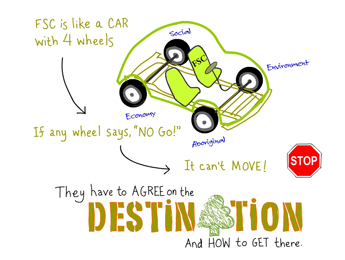 Could an Oil Stewardship Council, modeled on the Forest Stewardship Council, end the toxic gridlock? 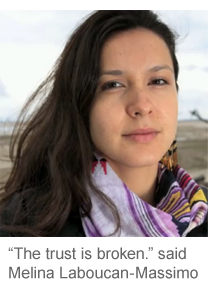 nyone who has been paying attention to environmental issues in Canada knows that relations are downright toxic between the oil industry, environmentalists, aboriginal groups and local communities. The government as “referee” hasn’t been helping. Our once peaceful country is boiling with anger. Conflict is brewing. As tensions rose across Canada with Natural Resources Minister Joe Oliver calling environmentalists “radicals,” I tried to imagine a solution. How can we develop our natural resources in a way that is respectful of the environment and stakeholders? Could the solution that brought peace to forestry’s “war in the woods” 20 years ago be the answer to ending Canada’s “battle over bitumen”? The proposal is this: an oil stewardship council that would be modelled on the world-renowned Forest Stewardship Council (FSC). It would be a member-based, third-party audited certification system in which the four groups (oil industry, environmental, aboriginal and local communities) would share power equally. 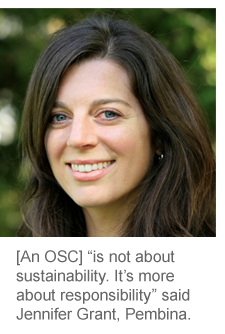 The federal government would be involved in a non-voting, observer role, as it is in Canada’s current FSC system. 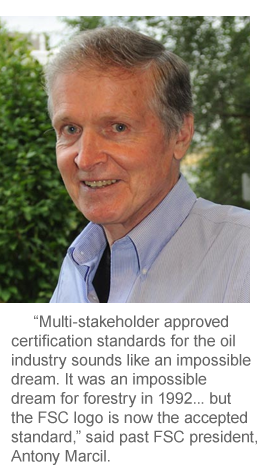 There are hurdles – certified oil sounds like an oxymoron. ForestEthics co-founder Tzeporah Berman compared it to “organic cigarettes.” But as we’ll explore here, certification could improve the power dynamics and reduce the negative impacts of oil extraction. It is also highly doable. Oil, which flows through a common pipe, could be certified on a percentage basis just as recycled fibre is now. Two people who saw promise in the concept are individuals who have actually done it themselves, on the ground, and in the boardrooms. 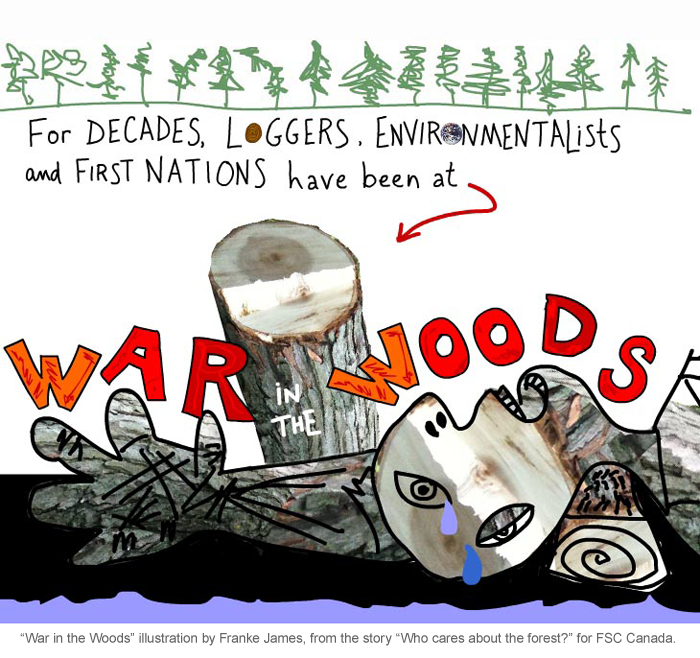 Antony Marcil, past president of FSC Canada, said forestry is an extractive industry that overcame a history of abusive practices by adopting FSC standards. The fishing industry followed with the Marine Stewardship Council. “Why not an oil stewardship council with environmental and social standards that could be the basis of independently certified crude oil?” said Marcil. David Schindler, an internationally-respected environmental scientist at the University of Alberta, agreed that it will take that kind of pressure in the oil sands. 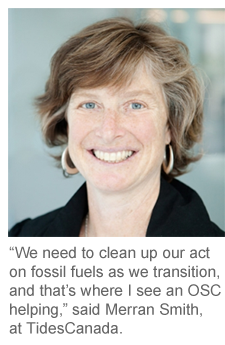 The idea of an oil stewardship council works in theory, but would any oil company join? 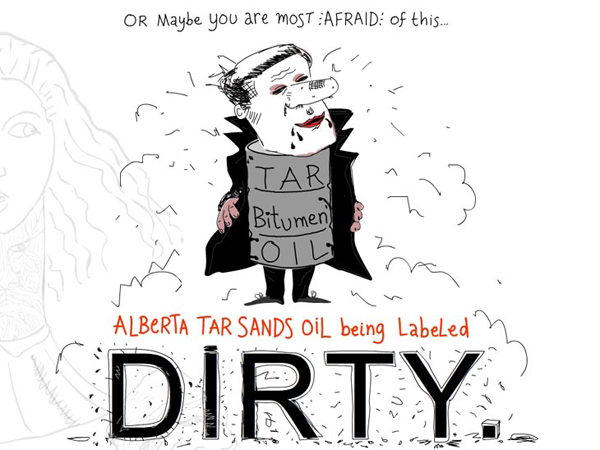 On the world stage Canada is getting a black eye for being a pusher of “dirty oil.” Internal government briefing notes to Oliver have warned his ministry about rapid growth of the resource’s development and its cumulative impacts on health and the environment. Grant said a precondition to an oil certification system must be that the country provides an audited and credible greenhouse gas plan in sync with its international obligations. “So a broader oil stewardship council could actually act as an incentive to countries like Canada who have failed (so far) to regulate GHG pollution in the oil and gas sector.” She said Pembina sees value in market-based approaches to drive change and would consider being involved in such a council. It might be a challenge at first rounding up so many diverse stakeholders to the same table, each with entrenched positions, when they know up front that any productive outcome will require compromise. 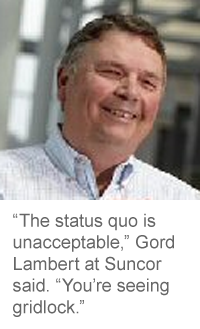 But observers such as Tembec’s McDonell are believers in the “stone in the pond” principle – that when you throw a pebble in the water, ripples of change will follow. Copyright 2012 Franke James. First published as “The Battle Over Bitumen” in Corporate Knights Magazine, Issue 40. Brian — Agreed — the subsidies need to end (see my Weasel post about Joe Oliver and Subsidies). TidesCanada and Pembina both stated that the ticket to entry is a transition to get off oil. 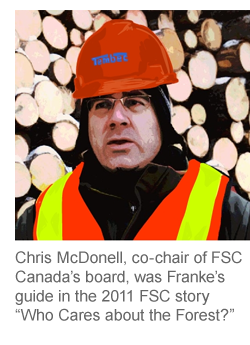 The interesting thing about FSC is that government is not involved (in Canada) except as an observer. Apparently they are too powerful and intimidate some of the other stakeholders.